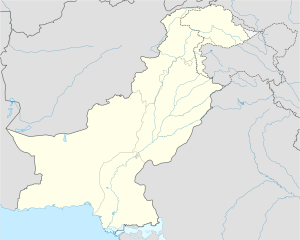 Digri (Sindhi: ڊهڳڙي‎) (Urdu: ڈگری‎) is a town in District Mirpurkhas Sindh, Pakistan. Digri is a small town where all communities are living in harmony. They speak languages of each other and every person has his due respect. 85 % population of Digri consists of Sindhi community. Arain are in majority in Digri Town. Mostly Sindhi and Urdu and Punjabi are popular languages of Digri. speaking in the town. In the early era of the town committee talpurs were chairing the committee however because of internal strife of Dhigri around Sindhi comunties they lost clout to the Mir Hayat Khan Talpur. There was an efflux of educated Lagharis families from Sanghar, Nawabshah, Badin and Mirpurkhas to the Rahim Yar Khan (the border district of the Punjab— where the majority of Doctors and Engineers) serving in government and private sector are still these migrates, WAPDA and Pakistan Railway are not exceptions). In non-Muslims: Malhi, Darzi community which was basically named after their works in fields as a farmer, but now they are going to education side, from them some are abroad for higher studies, Kolhi a non-Muslim Sindhi tribe is mainly associated with agriculture farming. Meghwar community of Dhigri were previously associated with farming, mason work, dispensary, tailoring but nowadays they are receiving high-class education and serving in good position. In Digri mostly the Punjabi families are living in Yosafabad and Ghareebabad colony. Research to Organize Sustainable Empowerment (ROSE) is a not-for-profit organization working for the development of Digri.